On my visit to Langham Place last year, I found that it really was melting pot of internationalism, just like the metropolis it is in. 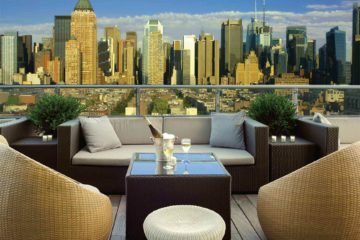 Right in the heart of New York City, born in Hong Kong and with a Mediterranean twist to its fine-dining. But the news is, now the luxury property also features a touch of French. 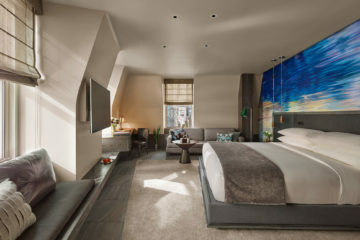 In a unique partnership with French design brand, Roche Bobois the hotel will shortly open two new hotel suites. And let’s hope they make it – with New York Fashion Week and the United Nation’s General Assembly on the horizon! 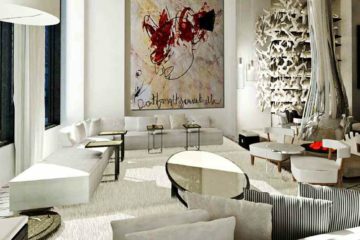 So what will the Roche Bobois Suites at Langham Place be like? Well they’ll be in the lofty heights on the 25th and 26th floor, feature 1,900 sq. 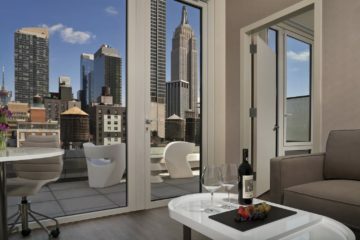 ft. of chic and French art de vivre – not to mention the ultimate and iconic view of the NYC skyline and the iconic Empire State Building. Some notable features include a Presence Sofa with an adjustable back and a Profile tufted ottoman, a nod to the classic Chesterfield settee. To impress guests of guests, there will also be a full dining room featuring the Aqua dining table, seating ten, boasting a water-drop shaped base cut from a single block of Carrara marble. Courchevel King Size beds grace each bedroom, ensconced in a wall of sectioned leather. 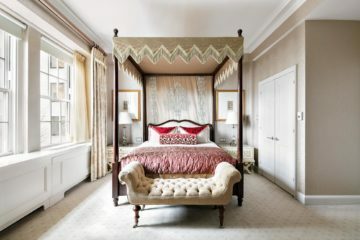 But my favourite touch is the framed brocade artwork using materials from Maison Christian Lacroix – as I stay in more and more hotels featuring Lacroix furnishings, I grow to love their fabulous work more and more each time. I can’t wait to stay! 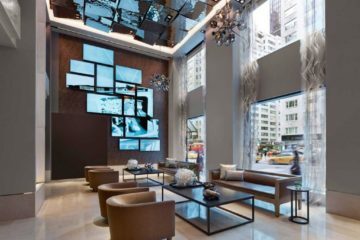 Find out about my previous stay at the Langham Place New York, here.